I am not hosting Thanksgiving this year but I do plan on contributing quite a bit. I have always loved this time of year! Growing up I would go to my grandmothers every Thanksgiving morning before anyone else arrived and would help her get ready for the days festivities. I absolutely love everything about this holiday. The preparation, the parades, the family, the football, and of course the food! 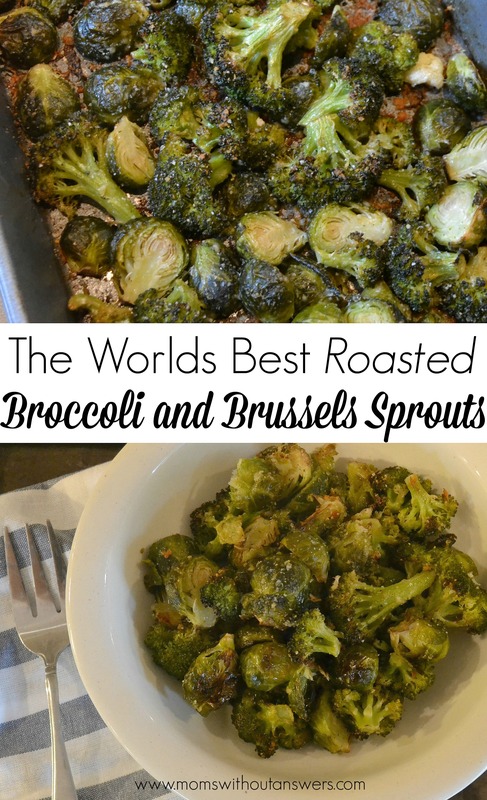 This year I cannot wait to bring one of my favorite new recipes, The Worlds Best Roasted Broccoli and Brussels Sprouts. Friends I am telling you, this is a recipe you do not want to miss out on. This little side dish is such a hit in our house that we have to share it with the rest of our family. When the kiddos eat this deliciousness right out of the bowl like its candy, you know you have a winner of a dish! Preheat oven to 350 degrees. 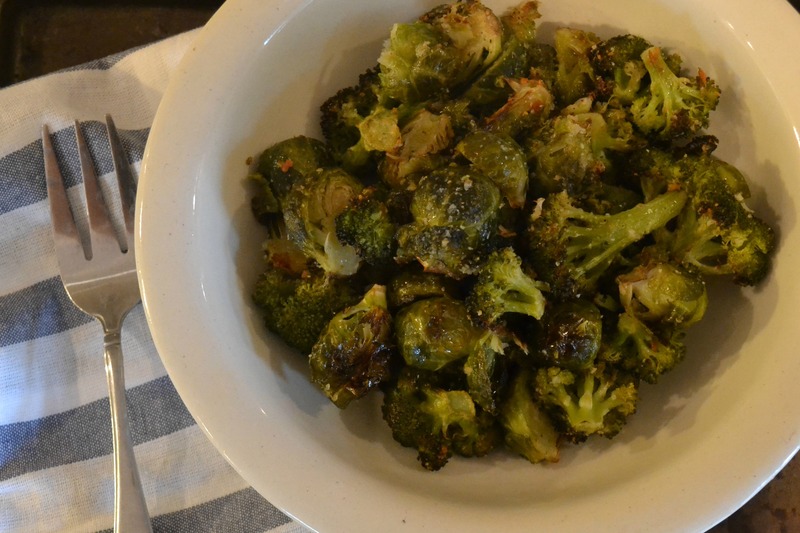 Toss broccoli and brussels sprouts in olive oil and garlic salt. Once coated well add the parmesan cheese and toss again. 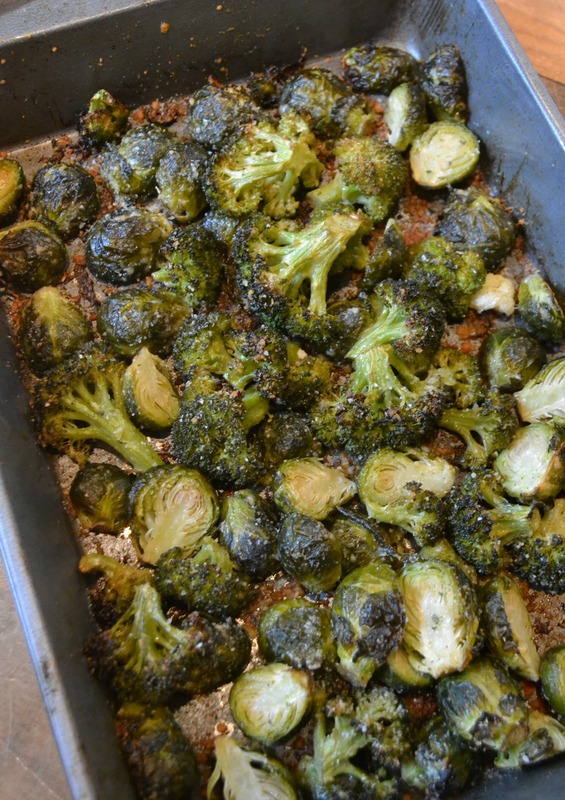 Spread vegetables out on a foil lined cookie sheet. Roast for 25-30 minutes or until vegetables are nice and crispy. Serve and Enjoy! This recipe is so simple and would be great to take to your Thanksgiving meal along with these amazing Bacon and Brown Sugar Green Beans and Crock-pot Pumpkin Bread Pudding! Why don’t you go ahead and make some of this yumminess tonight! These things are amazing and you know you want a trial run for the big day!